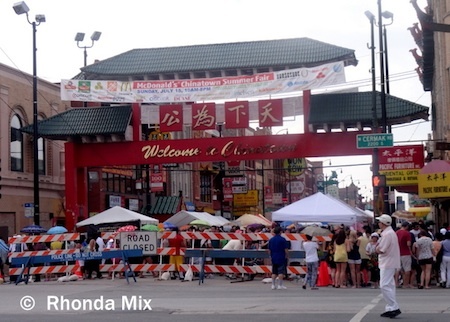 Over the weekend my friend Harrison (President of The Chicagoland Food Blog) and I ventured on over to the 2012 Chinatown Summer Fair. 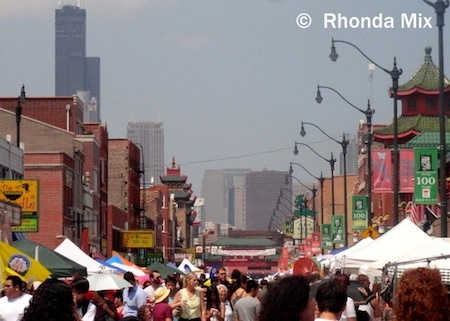 An annual event, this year’s fair was extra special because it marked the 100th anniversary of Chinatown in Chicago. The massive crowd, sights, sounds, and smells reminded me of Asia and I was in my glory. Except for one small factor. Good bao was nowhere to be found. 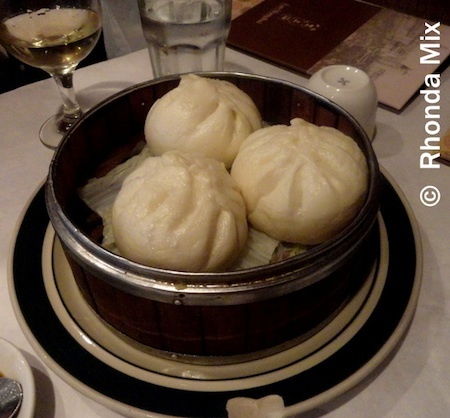 I love, love, love baozi and I’ve written about these hot little buns a few places on the web. One would think, in a community full of immigrants from Asia –primarily China, Hong Kong, and Taiwan — it wouldn’t be hard to find the tasty little steamed rolls that are practically dietary staples on that side of the planet. But our quest proved exceedingly difficult. Because of our bao hunt (and pigging out on tea egg, dim sum and bubble tea treasures along the way), we missed the dragon dancers and parade. 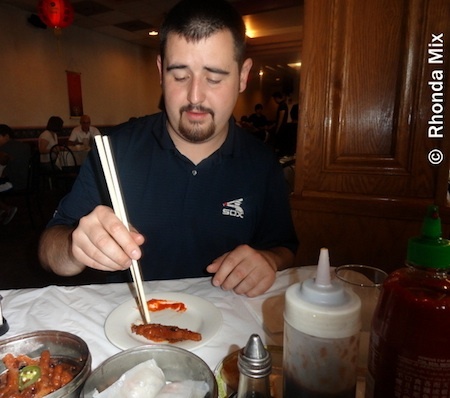 However, we got to experience the joys of eating dumplings that tasted like dirty socks and Harrison had his first experience with chicken feet. He did not seem to like them but I reminded him his first experience could have been much worse. We explored bakeries and restaurants and in the midst of the confusing Cantonese and other indecipherable dialects, I heard bits and pieces of Mandarin which got me very excited and sidetracked. I was able to have a few brief spontaneous language exchange sessions. Note to everyone: Attempting to speak Mandarin in a Mandarin-speaking business in Chicago’s Chinatown will result in one of two things: People will either answer you in English and look at you funny because they don’t understand why a white person with blonde hair is attempting to speak Chinese, or they will become super excited and talk rapidly for like five minutes, wherein if your Chinese skills are basic like mine, you will only be able to understand a small percentage while nodding your head and pretending otherwise. After all this indulging, still, no bao. Heaps of food and a bottle of plum wine later (with our stomachs near to busting), we stumbled into a place called Lao Shanghai and lo’ and behold we found our sought after treasure on the menu in vegetarian form. 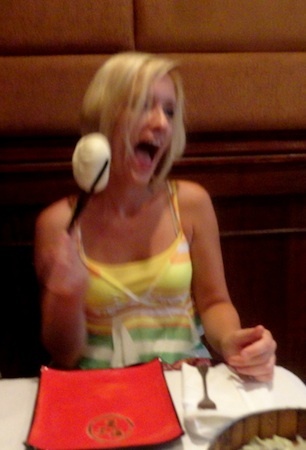 Apparently I was a little too excited. It was a lovely way to top off a day of eating. Before we left, I made sure to buy a bamboo steamer so I could attempt to make my own bao at home and never again have to struggle to find them. 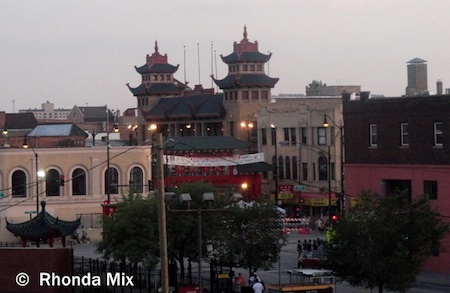 Heading over to Chinatown Chicago? 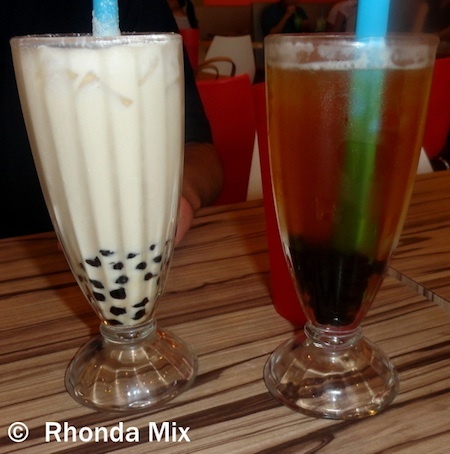 And of course, be sure to stop in the numerous bakeries and tea shops for some tasty treats.